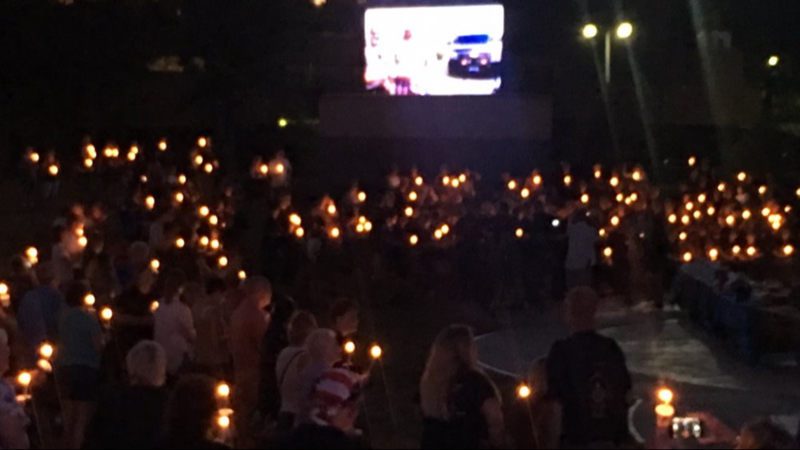 The candlelight vigil for Officer Mathew Mazany was held at the Mentor Civic Amphitheater. MENTOR — It was yet another powerful sign of solidarity in Mentor Friday night. 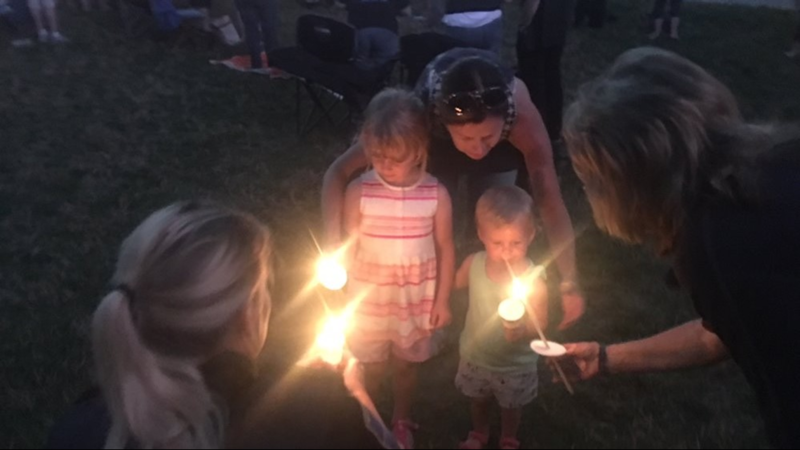 Hundreds held candles that lit up the night at the Mentor Civic Amphitheater during a memorial service for fallen police officer Mathew Mazany, who was killed early Sunday morning in a hit-and-run crash. Mazany's older brother Mike Mazany spoke publicly about the tragedy for the first time on Friday. He told the crowd how grateful the Mazany family is for the "outpouring of support". "He was my baby brother. I prayed to get that baby brother when I was little. And you all have seen now what the 6-year-old me saw when you celebrate your officer Mat," Mike told the gathering. The sheer number of heavy hearts staring back at him from the amphitheater hill confirmed it. The crowd included families of other fallen officers and the spouses of current Mentor officers. 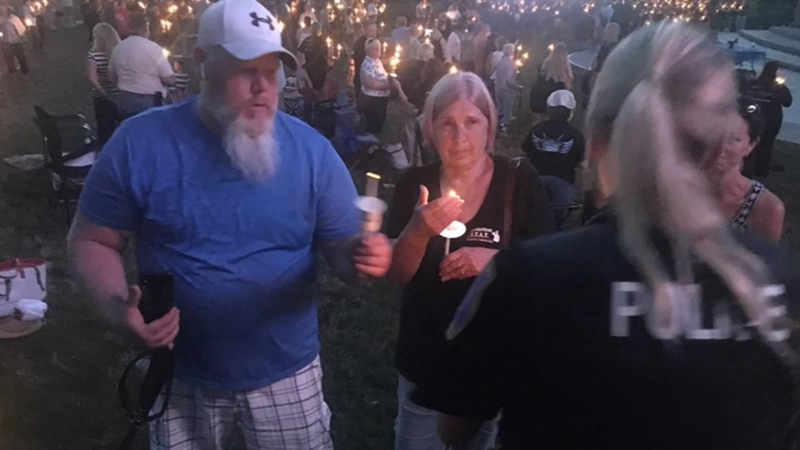 The spouses, in fact are the ones who organized the vigil. The Mazany's loss, is for them the reminder of what they live with everyday when their loved ones leave for work without the promise of coming home. That's why Friday was about: Honor. Gratitude. Respect. "It's Just heartbreaking. He was so young and it was so unnecessary really," said Teri Markel of Wickliffe. To the Mazany family, 9-year-old Madilyn from Mentor would like to tell them, "I'm really sorry for your loss and I wish he was here because he helped people when they had emergencies." The united message almost 6 days after Officer Mazany was hit and killed on Route 2 was that his sacrifice and his family's loss is not lost on us. "He gave his life for us. So it's really important," Cheryl Chumita of Mentor said through glassy eyes of gratitude. "It's gratitude for every single one of them," she said. MORE | Nurse who stopped to save fallen Mentor police officer: "God put me there. I know he did"
We saw the sure sign of a stand-up city when they stood together shoulder-to-shoulder in Mentor to say: "We will never forget". 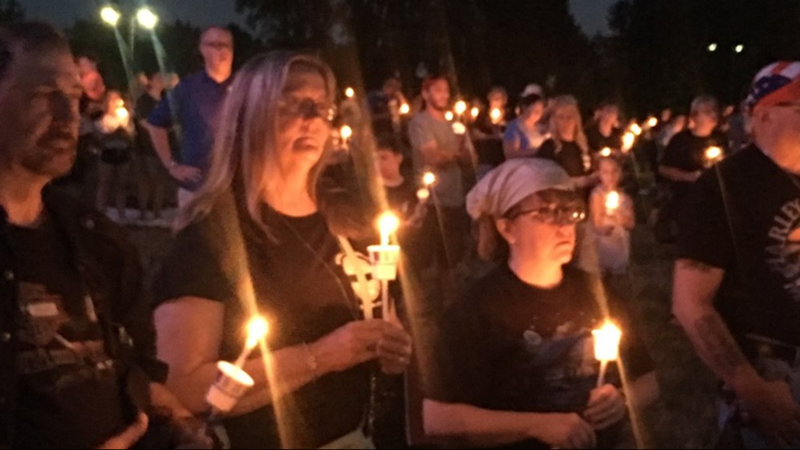 "My kids and I are here to honor and to remember this police officer and what he did for this community to protect us and keep us safe," Cheryl Thompson of Mentor said. "To the men and women in blue we love them we support them and we really appreciate them," Chumita added. Visitation for Officer Mazany will be held at the Monreal Funeral Home on Curtis Blvd. in Eastlake from 2 p.m. to 8 p.m. on Sunday. 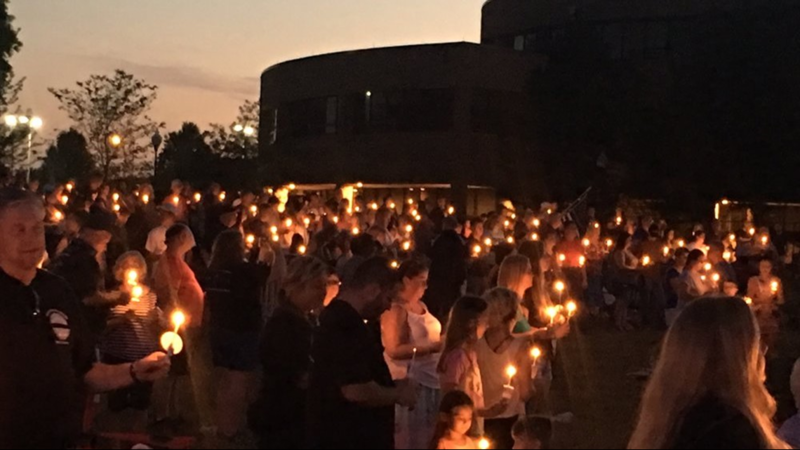 A private funeral service will then take place Monday at 11 a.m. at the same location, followed by a procession and public service at the Mentor Fine Arts Center.